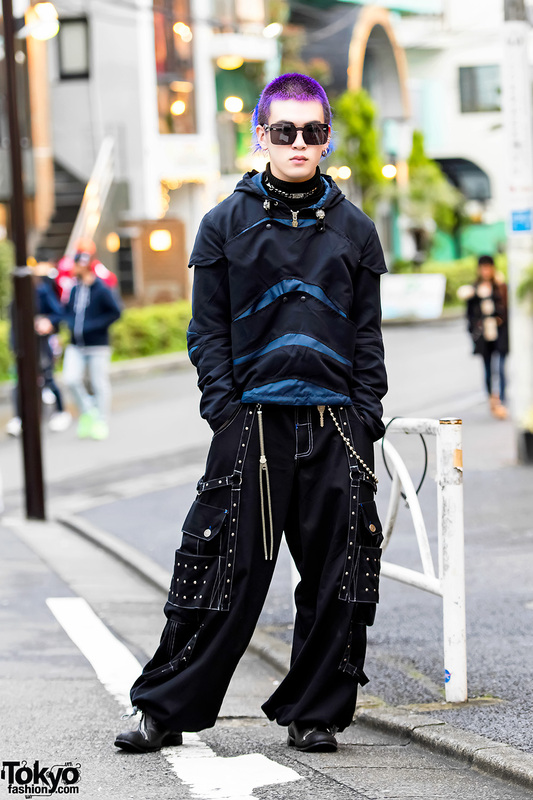 Harajuku guy in oversized black and gold ensemble with shirt, leather drawstring pants, low cut zipper boots, leather zipper bag, sunglasses, ball chain necklace, zipper bracelet and a knuckle ring. 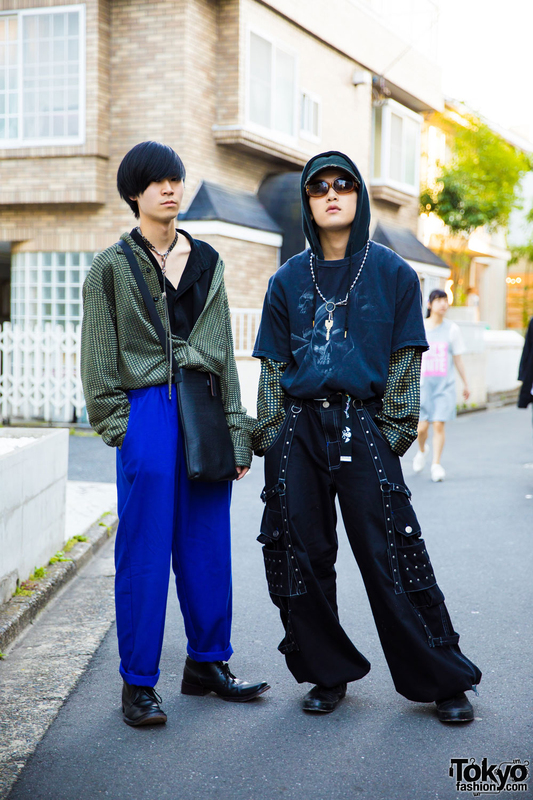 Harajuku fashion college student in eclectic streetwear fashion wearing a denim vest over an oversized shirt, Cannibal Corpse shorts, black boots, and belt used as a necktie. 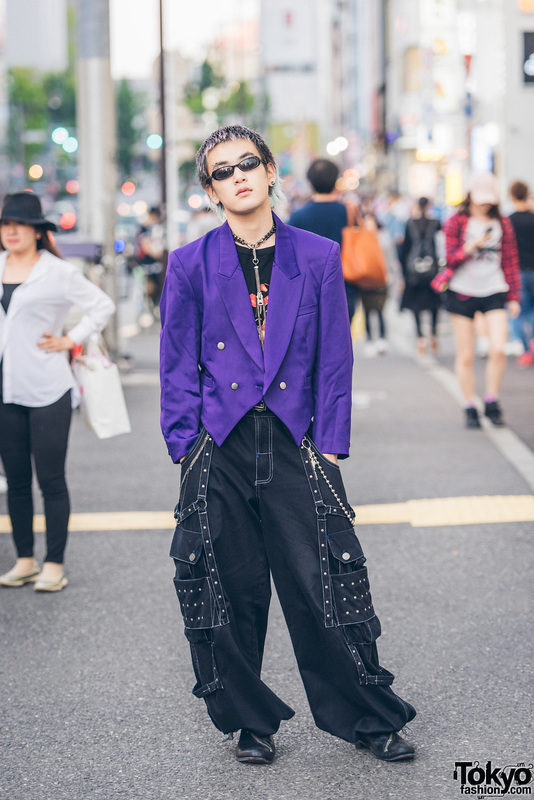 Purple Harajuku Mens Street Fashion w/ Kinji, Dolce & Gabbana, Sullen & T.A.S. 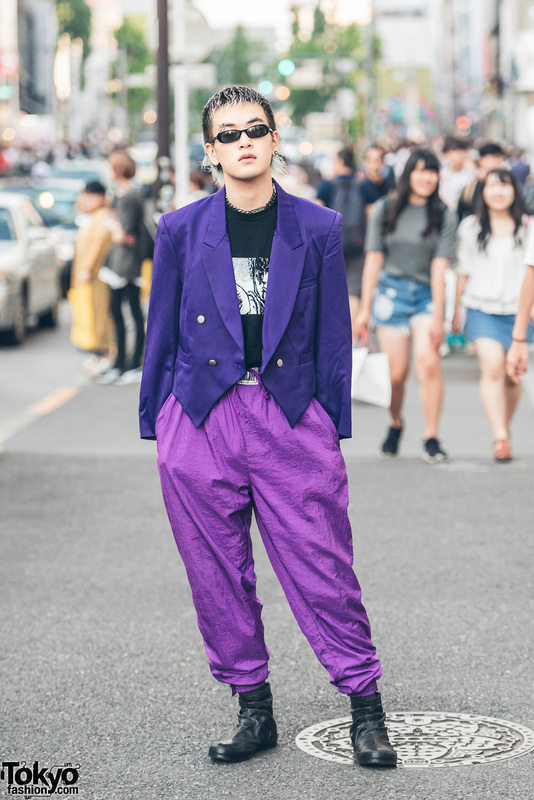 Harajuku Bunka Fashion College student in a purple suit wearing a blazer, black t-shirt, pants, and boots.